For those looking for the most bang for their buck, the Continental golf cart offers a perfect balance between performance, quality and value. The cart's handle includes a drinks holder, scorecard holder and storage pouch, as well as tee holes - all the essential features you need. The cart rolls smoothly around the course thanks to the wide ball-bearing wheels. 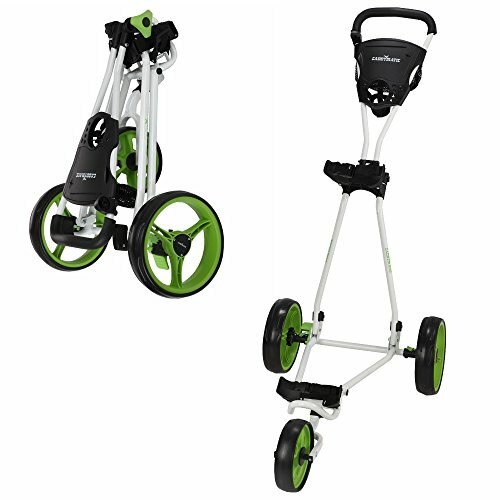 Equally as important for when the cart is off the course is the folding mechanism and quick release wheels, which allow for easy storage and transportation.